Obviously, he's enjoying telling his story. He's either talking about a HUGE fish that he almost caught, or he's describing his HUGE headache. 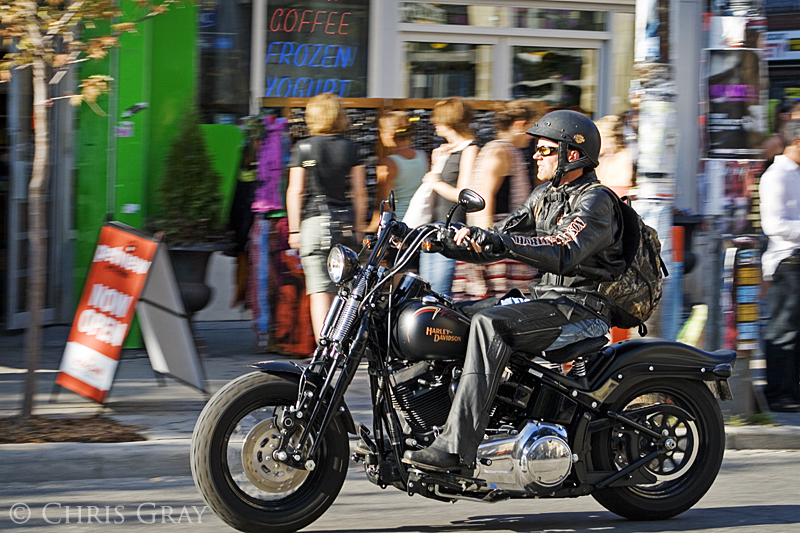 A Harley rider takes the evening commute across Queen West - heading off into the sunset, I guess. 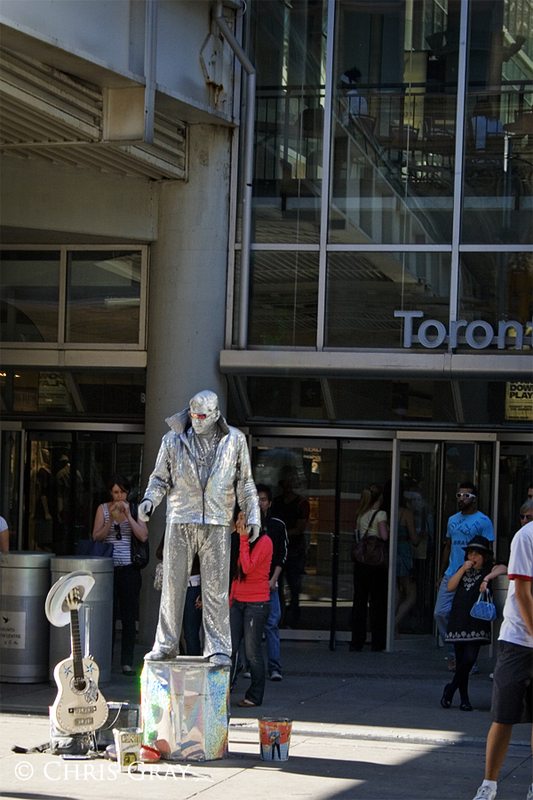 He's outside the Eaton Center periodically. As far as I can tell, he doesn't do anything other than look like a rhinestone statue of Elvis. 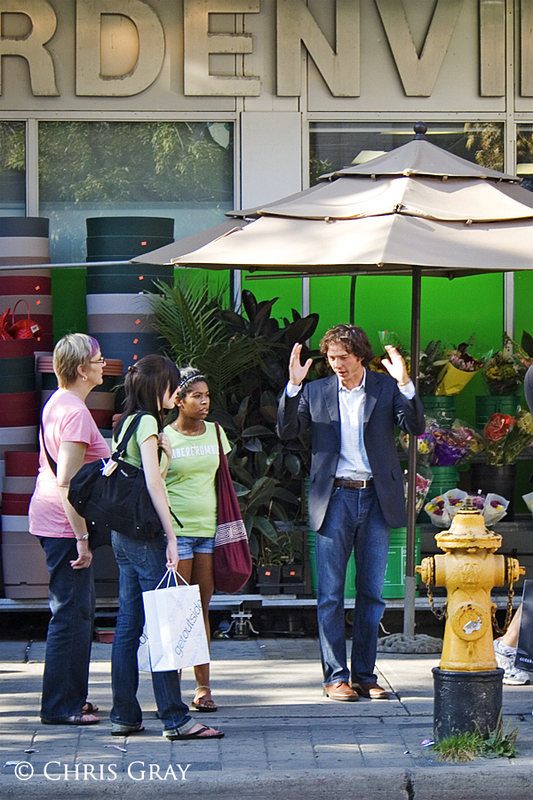 But he always seems to draw a crowd. It really is a huge advertisement for the upcoming Guess store on Queen Street. The city is full of hidden places, some beautiful, some not. 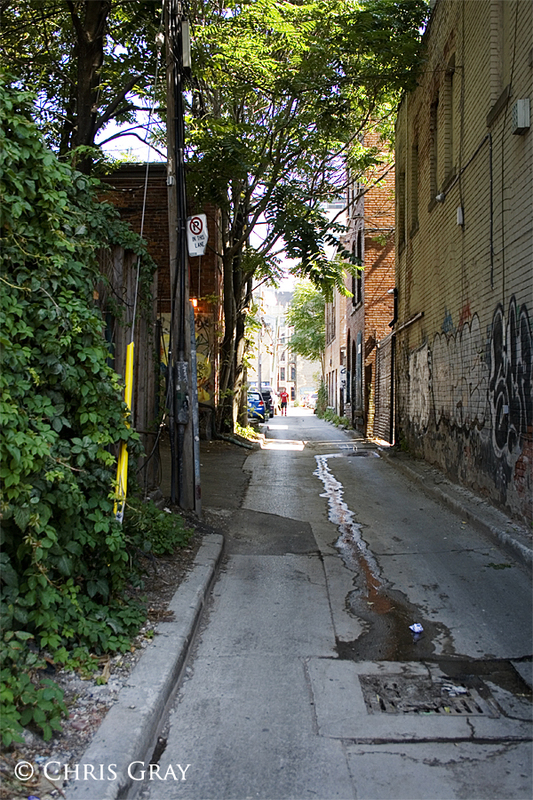 I love the look of this alleyway that I found on one of my photowalks around the downtown core of Toronto. I mean - an alleyway that has trees on either side? How great is that? I hate driving into the sun. I hate the glare off the windshield, and the way I have to squint - even with my sunglasses on - to see the traffic and signs. 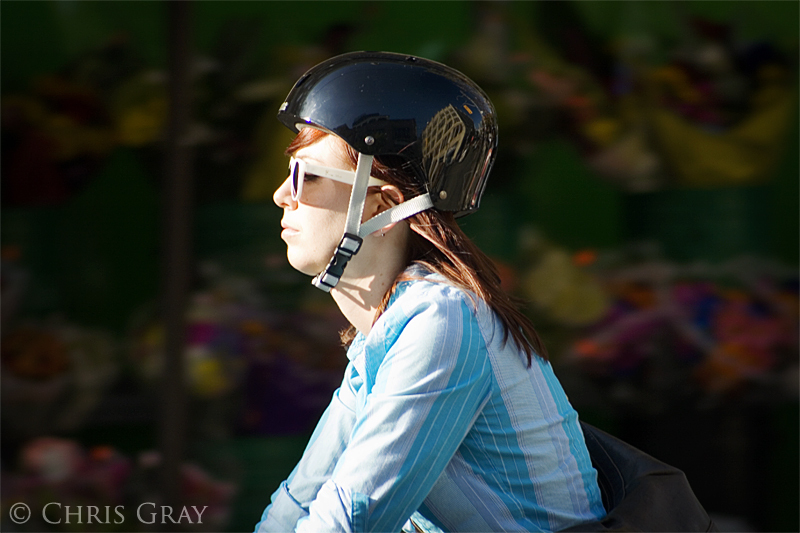 It's gotta be just as bad when you're on a bike. 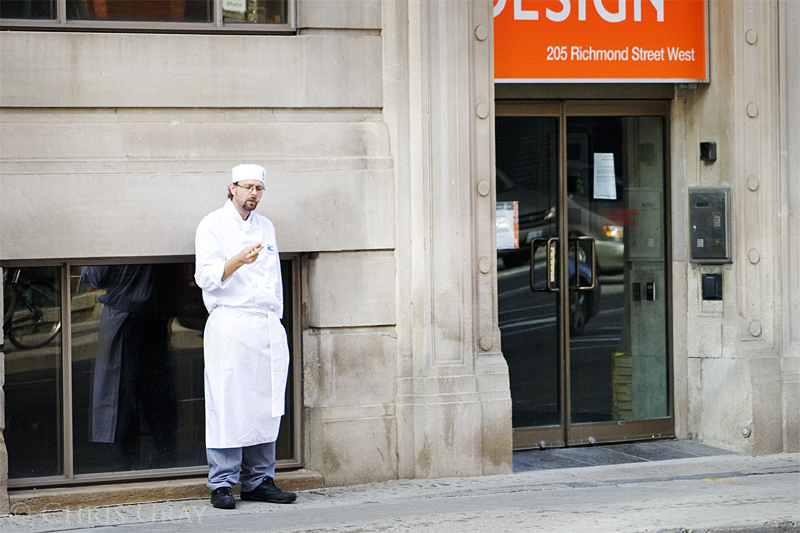 One of the most common sights around Toronto is the folks standing outside a building, smoking. 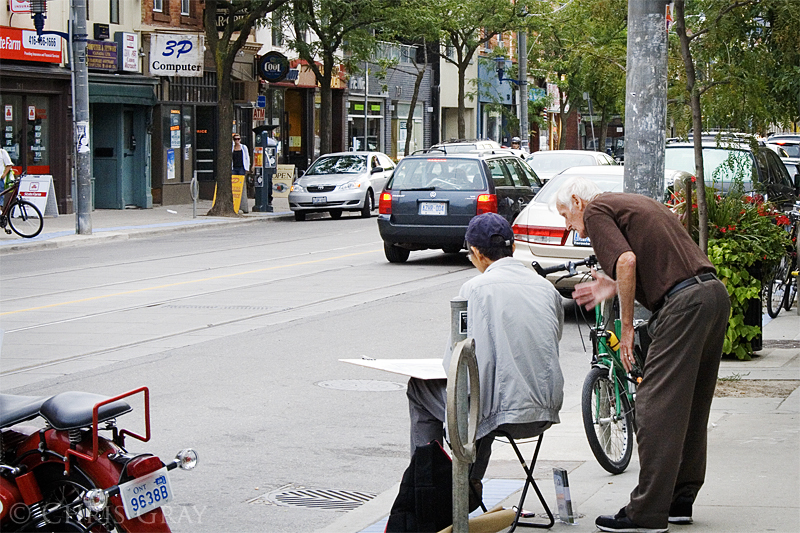 You see them out there, no matter what the weather, no matter what time of year it is - getting their nicotine fix. I never smoked, but I can only imagine what kind of hold it would have had on me if I did.